Can a new approach to PACE home solar/efficiency finance overcome big regulatory roadblocks? Sacramento and Ygrene are trying it out. Property assessed clean energy, or PACE, financing -- paying for home solar installations, energy efficiency retrofits and other green improvements through property taxes -- was all the rage a few years ago. Then, in 2010, Fannie May, Freddie Mac, and the Federal Housing Finance Agency decided that PACE payback obligations were problematic when combined with residential mortgages, putting the whole idea into legal limbo, and the industry into a stall. Programs in 23 states were canceled or cut short. Since then, we’ve seen multiple approaches emerge to unlocking the legal snarl that’s preventing PACE from moving forward, whether via court challenge, or by delivering the same financial benefits of PACE via different structures, like utility bills. Now, California’s state capital, Sacramento, is about to get the ball rolling on a new version of PACE financing that could unlock the residential market. 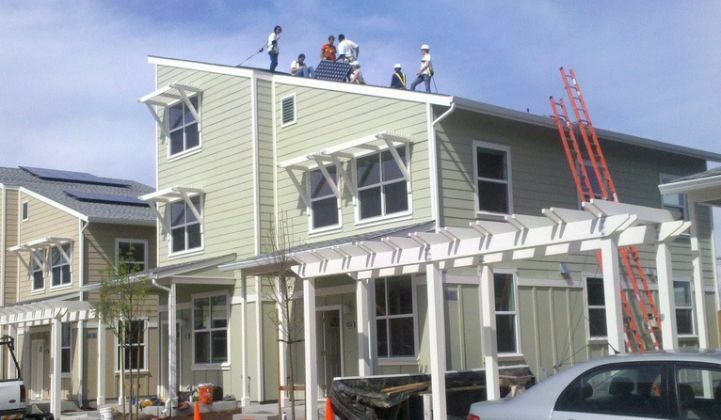 Last month, it announced its Clean Energy Sacramento program was expanding PACE to both commercial and residential construction, with a goal of driving $100 million in investment in rooftop solar, efficiency upgrades and other green projects. Sacramento is working with Sonoma, Calif.-based Ygrene Energy Fund to administer the program. The two started working together in September on a project, backed by billionaire Richard Branson’s Carbon War Room organization, in which Ygrene and partners like Lockheed Martin and Barclays are rolling out commercial PACE projects in Sacramento and Miami-Dade County. As for the residential PACE part of Sacramento’s new law, it tackles the thorny issues with the FHFA by creating a new property assessment district program to get the job done. Assessment districts are the special-entity vehicles used to pay for water and sewer improvements, public lighting and commercial venue upgrades and similar projects. In California, they’re known as Mello-Roos Community Facilities Districts, after the state lawmakers who passed the bill that created them in 1982. A 2011 update to the Mello-Roos law (SB 555) made explicit that Mello-Roos districts could pay for “energy efficiency, water conservation, and renewable energy improvements.” Sacramento is the first municipality in the state to create a program based on the law, and believes that this should provide it adequate legal justification for the move, Kevin McCarty, Sacramento city councilman, said in a Friday interview. While Mello-Roos districts usually require a two-thirds vote of the property owners within the district, Sacramento’s program makes each individual property owner their own “district,” so to speak, McCarty said. No problem getting a two-thirds vote in that case. Investments made under the program are also tax-deductible, he noted. 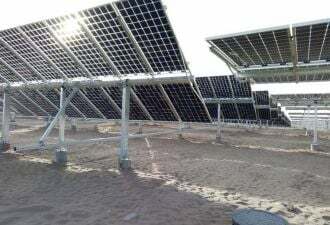 That’s important for banks and other investors wanting to earn money from solar panels, efficiency upgrades and other green projects that are paid back, slowly but steadily, with property tax payments. The city has asked a state court to validate the legality of the arrangement, with results expected by October or so. In the meantime, the city and its partners are already lining up banks interested in investing in the projects, including both international players like Barclays and local commercial banks such as First Bank of California, SAFE Credit Union and First Northern, he said. While he wouldn’t name names, he said he’s spoken to other city officials from around the state that are interested in trying something similar. Unlocking Billions in Green Homes? In Sacramento, Ygrene has already lined up about $20 million in investment for its commercial PACE projects, President Dan Schaefer said in an interview last week. It has also set up a program, backed by Department of Energy stimulus funding, aimed at subsidizing energy efficiency audits for about 150 properties over the summer, in hopes that many of them will find out they’re wasting energy, prompting them to turn to PACE to fund no-money-down retrofits, he said. But the value of unlocking the residential sector of the market could dwarf those figures, he said. While Schaefer didn’t make estimates of how much money Ygrene was hoping to unlock, he did say that the company had about 3.5 percent market penetration in Sonoma County, where it started in 2008. If it could reach the same level in Sacramento, that would be about $218 million in residential and $214 million in commercial funding, he estimated. According to state multipliers, that adds up to about 60,000 jobs and almost $1 billion in economic stimulus, he said. A rough estimate of the potential market is pretty staggering. About 178,752 properties in the Sacramento region fall under Ygrene’s guidelines of at least 15 percent equity ownership by occupant, Schaefer said. If 10 percent of those were to do a PACE project, the result would be $1.25 billion in project financing, he said. Nationwide, a 2009 University of California Berkeley study found that wide adoption of PACE programs could drive $280 billion in bond financing and cut greenhouse gas emissions by up to a gigaton. Energy efficiency is the cheapest and fastest way to spend money that will green the nation’s energy mix, according to McKinsey and countless other studies. What’s wrong with the arrangement? Well, because the tax collector’s in charge of this bill, it tends to get paid before a lot of other debts that attach to a home, such as mortgages and refinancing loans that may or may not be caught up in foreclosure. But that’s a problem for the FHFA, which stated in its 2010 analysis of PACE programs that many lacked standards for underwriting, consumer protection and energy remodeling, as well as presenting the troublesome prospect of a debt that must be paid before the mortgage is, which could expose Fannie Mae and Freddie Mac to financial risk. PACE backers, including California lawmakers, contend that the nature of efficiency and energy improvements makes these very low-risk investments. Even so, in 2011, FHFA issued an order that “expressly directed the Enterprises (Fannie Mae and Freddie Mac) not to purchase mortgages affected by first-lien PACE obligations.” After a January court decision out of California put a temporary injunction on that, the agency has reopened its proposed ruling to comment, most recently through Sept. 13 (click here for relevant FHFA documents). Ygrene is one of many PACE-based businesses, including VC-backed startups like Renewable Funding, that are hoping for a favorable outcome from all this legal and regulatory turmoil. Since the FHFA’s 2010 decisions, all but a handful of city/county residential PACE programs have closed down (Sonoma and New Babylon, N.Y. are two exceptions), and startups in the space have left the field, including GreenDoor and recent Tendril acquisition Recurve. If Sacramento’s program holds up, it could allow big PACE programs in San Francisco, Berkeley, Palm Springs and other California cities to start working with homeowners again. Eventually, Schaefer hopes to provide “warehouse finance” for projects on a mass scale, coming up with capital for projects and then selling the cash flow coming from the tax collector as an investment. UC Berkeley studies have shown that PACE projects can yield an average five-year payback on investment and 15 percent returns after that. Schaefer said that Ygrene and partners have seen as much as 20 percent ROI from their projects. In other words, proven energy efficiency improvements yield proven cost reductions over time, while ever-falling solar panel and balance-of-system prices are making household solar a more and more attractive investment. Now if only we could agree on who gets to profit from it -- and who has to bear the risks.